The denizens of Colorado and surrounding states are gearing up this weekend for the second annual Monolith Festival. 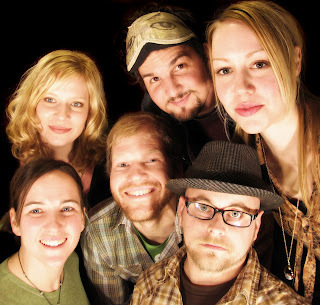 The party kicks off Friday night with a headlining show from indie chamber-pop collective Cloud Cult, along with Young Coyotes and The Dutchess and The Duke. Because they love you, Cloud Cult has given Fuel/Friends one VIP pass to the entire Monolith weekend for a lucky reader to win! Cloud Cult has been making sweepingly gorgeous, thoughtfully incisive music since 1995, and their most recent album Feel Good Ghosts (Tea-partying Through Tornadoes) is out now on Earthology Records. The winner of the contest will also get a copy of the album. Seeing them Friday will be my first experience face-to-face with the group (I missed their second-stage headlining set at Monolith last year for reasons we don’t remember). Okay, yes. I’m in. I also hear that they paint live artwork on stage at their shows, shaped by the music, and that’s just beautiful. TO ENTER THE VIP PASS CONTEST: EMAIL ME WITH “MONOLITH/CLOUD CULT” IN THE SUBJECT HEADER. I will pick one random winner from all entries received by Thursday at 9pm. You may also want to include your phone number in the email. Please note — obviously if you want to win this you have to either be in the general Colorado area or be able to get yourself here by Friday (or Saturday morning). The pass will get you into all the festivities starting Friday night at the Bluebird. The contest will end in t-minus 24 hours. 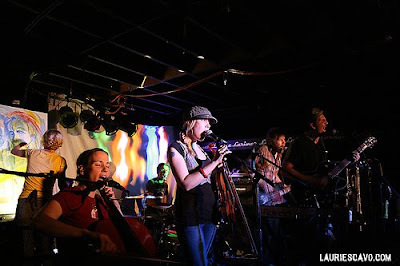 Cloud Cult will also play tomorrow (Thursday, 9/11) at 11:30am for 600 kids at Cerebral Palsy of Colorado during the Monolith Festival Reforestation Project, then at the Aggie in Fort Collins tomorrow night. Aaaand they’re also on Carson Daly tomorrow if you are sitting at home. * Final caveat: Cloud Cult may not actually want to party with you, per se, but the part about you being a VIP rockstar is totally true. Tagged with cloud cult, contests, laurie scavo, monolith festival. Hey Heather, check out our Monolith guide at http://www.denver.metromix.com. It previews all of the local acts, plus a lot of above and under the radar bands. I’ll see you there!